Photography allows us, the contemporary viewers, to capture a moment in time, an expression, a turning point that will never be repeated, thus giving us an immediate connection with the subject. And, we see this all through the photographer’s perspective. We can see what they saw, how they chose to frame the subject in order to communicate to us the exact moment they sought to capture in their lens. We see the stories they choose to tell us. Photographers, like most artists, are uniquely aware that their art will live on; that they are not as much artists as documentarians of a specific time and place; in capturing a moment they are sending a message to the future observer, allowing each of us to read that message differently. What story do you see in these images? Imagine traveling across a sparsely occupied land in the hope of finding a new life full of rich possibilities and opportunities. Such was the mindset of the earliest of Everett’s residents and of those who captured them on film. Everett’s founding coincided with some of the world’s greatest photographic advancements. The documentation of both everyday life and pivotal points in cultural and societal history became mainstream during this time. The technological availability of smaller and more mobile cameras ensured that documentation became more a daily rite than a special occasion. In the early 1880s, the emergence of dry-plate technology, using gelatin emulsion, allowed large numbers of photographers to enter the field. With the invention of the Kodak camera in 1888, two years before the plans for platting Everett, photography became a popular occupation and pastime. Lured by the slogan “You push the button and we’ll do the rest,” consumers and professional photographers could now use George Eastman’s camera with the flexible roll of film to capture almost any moment they desired. 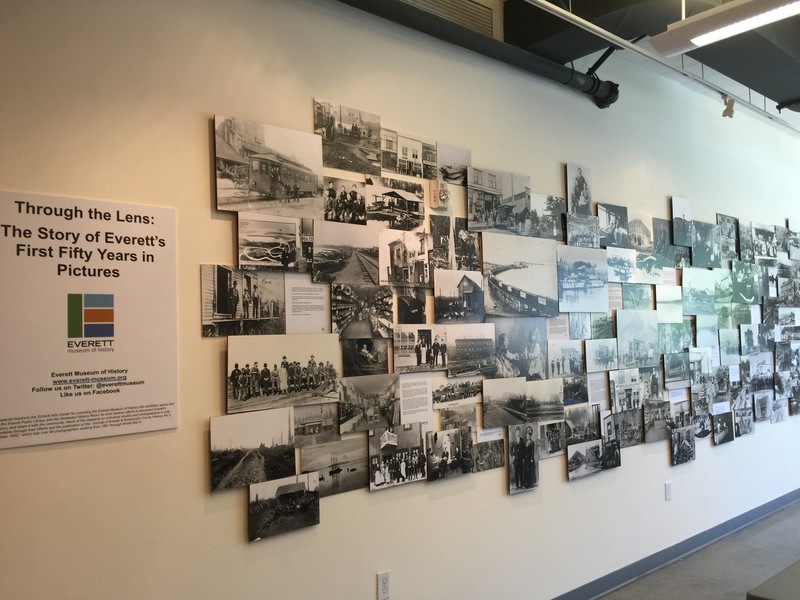 Capturing the excitement and progress of building a new city, like Everett, lured many who would document the successes and growing pains with their own distinctive style. The images in this exhibition represent the work of many photographers drawn to early boomtown Everett as it rapidly evolved from a forested peninsula to a roaring new industrial city on Puget Sound. Men and women, working in portraiture as well as commercial and scenic photography, from all over the United States, found Puget Sound’s new and remarkable city an exciting environment for their efforts and lucrative to their incomes. 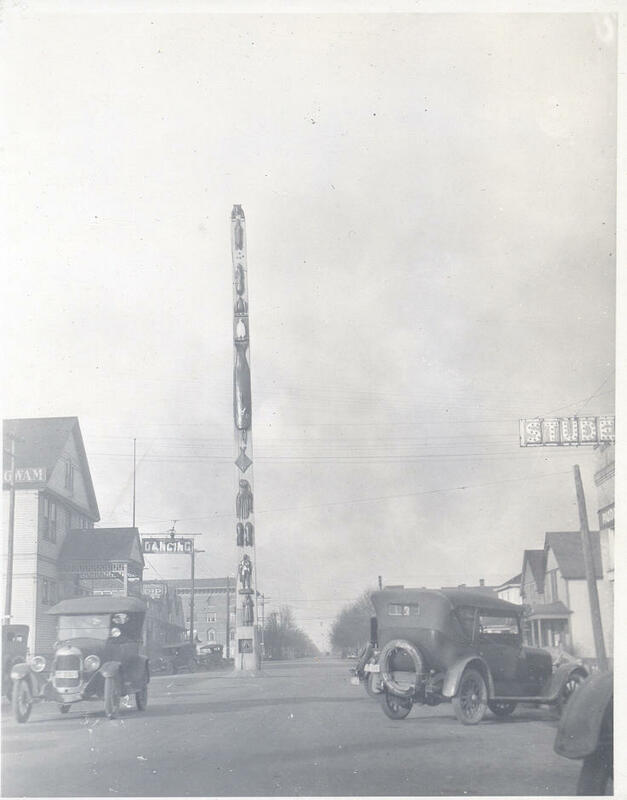 Frank LaRoche documented this new town pinched between the Snohomish River and Port Gardner Bay in October 1891, visiting several more times through 1892 and 1893, when others arrived to take up the trade and expand on his work in the year of incorporation, 1893. 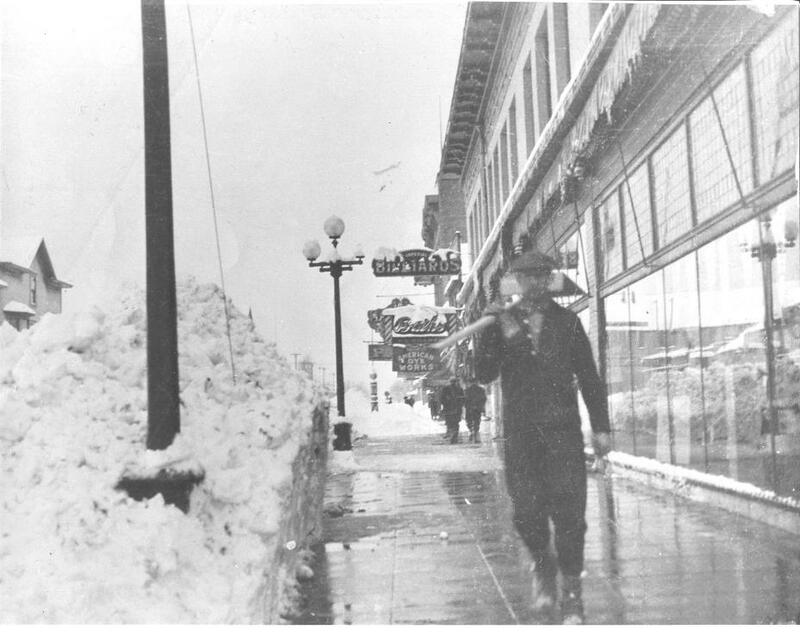 R. King and D.W. Baskerville shot an exceptional series of 5 by 8 inch scenic views during the boom year of 1892.
in the 2814 Rucker Pioneer Block, while Siewert moved from Riverside into the new Realty Building at northeast corner of Hewitt & Colby. He soon sold out to scenic photographer George W. Kirk, who along with Bert J. Brush documented Everett in the new century, profiting from rapidly improving national and local economies. The first decade of the twentieth century witnessed the powerful and evocative work of Brush, along with Norman Edson, Jesse Myers, and Clara and Alice Rigby. In 1909, John A. Juleen began his long decades of work photographing a changing city and, by the 1920s, his studio supported a staff of eight and relocated to Rockefeller near the First Presbyterian Church. Juleen not only produced an unprecedented quantity of original photographs during this time, he also reproduced the work of numerous earlier Everett photographers. John A. Juleen died in 1935 and could be arguably the most well-known and most prolific photographer in Everett. June C. Allen operated in Everett from 1926 – 1935. Andrew C. Anderson was the proprietor of Meyers’s Studio from 1922 – 1925. Elmer Arendt had a studio at the corner of Hewitt and Colby from 1923 – 1925. Mrs. Rena L. Austin was an Everett photographer from 1911 – 1913. James C. Bailey operated studios from 1926 – 1932, retiring due to poor health. Lloyd M. Bardo operated the tent studio of Bardo and Monnet in June 1892. He went on to have studios in Fairhaven and Seattle. Colfax W. Bart opened Bart & Cantwell as early as 1901. D.W. Baskerville was partner in King and Baskerville studios founded and dissolved between February and June 1892. During this short period of time, the firm was responsible for many boudoir size scenic photographs (5 by 8 inches) of Everett’s initial success. C.W. Bast worked from 1901 – 1902. Rensselaer B. Bentley, of Bentley and Hatch, worked from 1901 – 1905 in Everett opening a studio on Rockefeller in July 1902. J.H. Blome was partner in LeRoy H. Lansing Jr. in the Everett Photo Company in 1935 and ran his own studio in Snohomish from 1932 – 1935. Lonnie E. Bobo was the partner of LeRoy H. Lansing Jr. in the Everett Photo Company in 1935. He later ran a studio in Snohomish. Frank W. Boyd was a Seattle photographer who had a branch in Everett in 1904; he was active in Seattle as early as 1889. 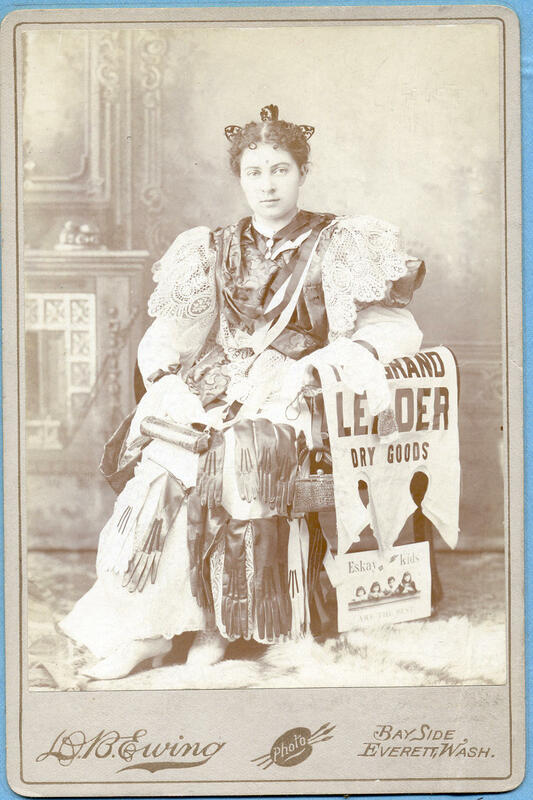 Ferdinand Brady was an active commercial photographer in Everett from 1911 – 1923 when he moved to Anacortes. Wesley Breneman had a studio on Hewitt in 1911. Dr. D.R. 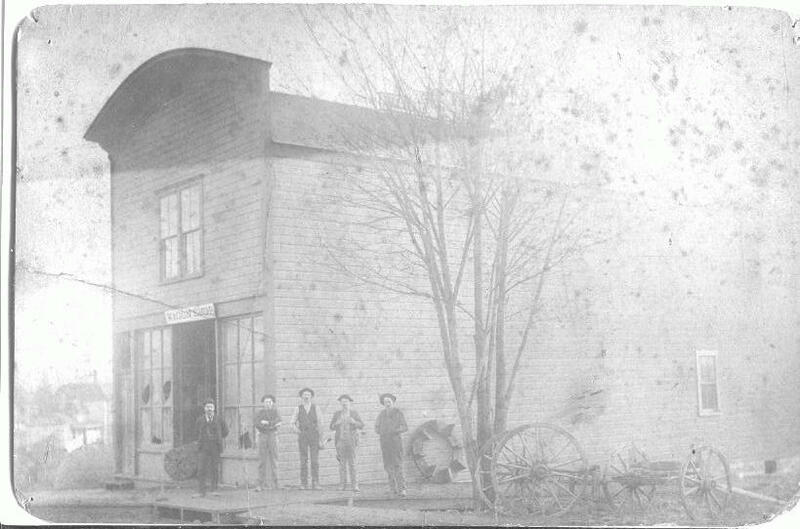 Brockman ran a photography and dental office from 1901 – 1902. Bert Jay Brush was one of the most prolific early Everett photographers, working from 1903 until his death in 1915. He was born in Detroit, Michigan in 1870 and was the son of a prominent photographer. From his arrival in Everett in 1903, he documented everything about the city from industry to civic interests to individual portraits and advertisement. Unfortunately, much of his work has not survived as the glass negatives were improperly stored at the time of his death and were lost to mold and moisture. George G. Cantwell was active in Seattle in 1897, moving to Everett in 1902 to run his studio until 1905. James B. Cawthon was active in Everett from 1902 – 1904. Charles B. Chase was an Everett photographer in 1913 – 1914. Harry Childs ran the studio of Childs and Simon in 1908. Francis Davidson worked out of the Dean’s Pharmacy Building and other Everett locations from 1928 – 1932. Mrs. Mary J. Dieu operated from 1919 – 1920. Frank E Dumermuth had the Penny Photo Company in 1901 and 1902. Norman S. Edson was a student of Bert Bush in 1905, opening a studio later that year and working off and on in the area until about 1921. David B. Ewing opened his studio in the Pioneer Building in 1893 advertising himself as The Bayside Photographer. He closed his studio around 1903. Orrin E. Graves had a long career as a commercial photographer in Everett, beginning in 1913, in six different locations, until selling to Bud Harless in 1941. H.B. Hanson was partner in the studio Kirk and Hanson in 1900. 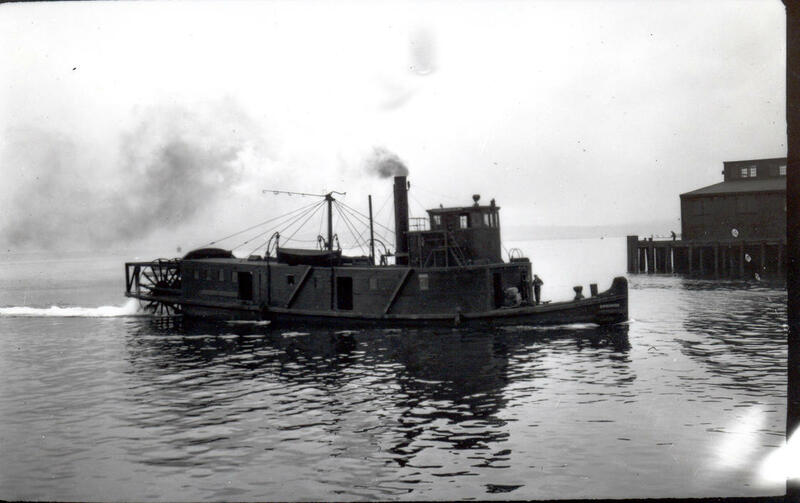 James H. Hatch, one part of Bentley and Hatch arrived in Everett in 1901 and was active until 1905. 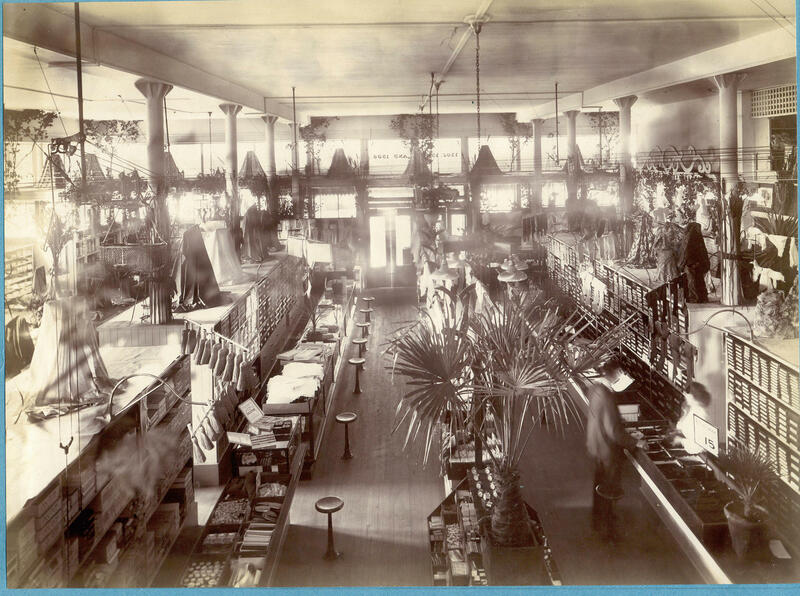 Joseph Hess operated a studio in 1900 in the Sorenson Building on Hewitt. Robert J. Young and W. Fay Morrison founded Home Portrait Studio in 1916 on Colby Avenue. 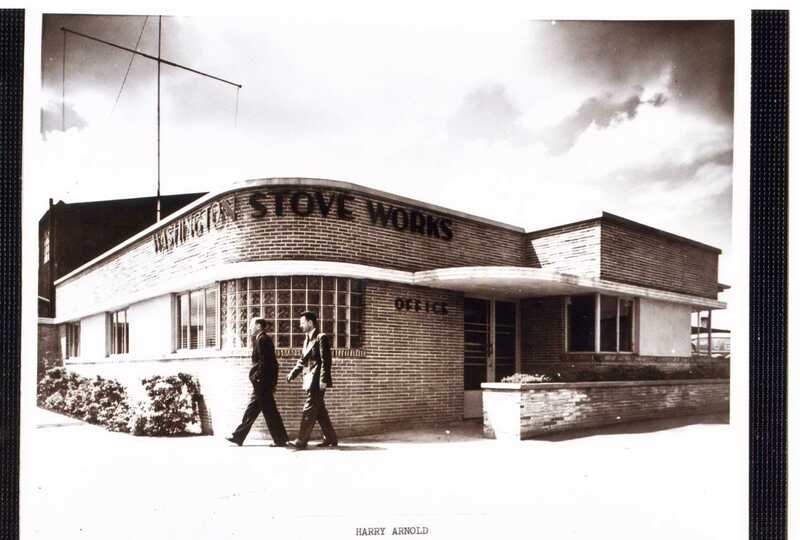 Morrison left the firm in 1915, establishing his own studio while Young continued the business until 1949 when he sold the studio to Frank A. Robinson, who changed the name by the late 1950s. Some of their surviving work in collections around the country captured the people of Everett, including portraits of Wobblies, who were later involved in the 1916 Everett Massacre. Morrison estimated at the time of his retirement he had over 200,000 negatives, which, unfortunately, he did not save. Martin L. Hudson was active in Everett in 1894. Henry Isings was one part of Isings and Sindram Studio in 1915. Lee Jellum operated at 3102 Hewitt in 1903. John R. Johnson was active from 1905 – 1906. John A. Juleen arrived in Everett in 1908, as a regional representative of Seattle Electric Company, and established his own studio soon after, remaining active until his death in 1935. By 1923, he had eight employees and provided historical reprints for William Whitfield’s History of Snohomish County, printed in 1926. He also produced a large postcard series of the area in the 1930s. Juleen was an early adapter of the circuit panorama camera, invented by Arthur C. Pillsbury as his senior project in Mechanical Engineering at Stanford University in 1897. He also produced aerial views of the city and worked with motion film. His concentration on landscapes and documenting Everett’s prosaic development is understandable when one considers his views on much of documentation of the time, which sound very much like our contemporary news coverage. In a 1920 interview (Washington Newspaper, Volume 6), Juleen discussed his thoughts on newspaper reporting, stating: We are told that the world is progressing. If this is so, why doesn’t the balance sheet of the newspaper show itself in favor of constructive news? My criticism of the average newspaper lies mainly in this, that it makes too much noise about the dark side of life and its various experience, and does not boost the bright side. 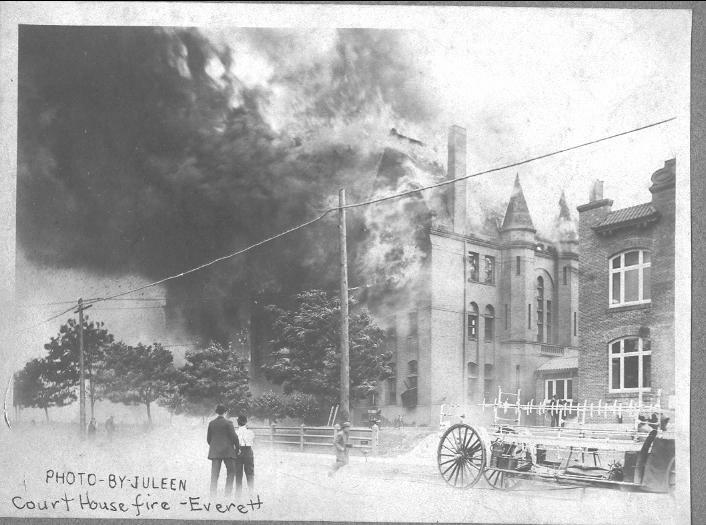 Lee Juleen (Lena Dalquest Juleen) came to Everett in 1902, graduating Everett High School and attended Chicago Academy of Fine Arts, afterwards teaching art in the Everett public school system. She met John A. Juleen in 1931 and married him. After his death in 1935, she took over his photography studio with Everett L. Murray. 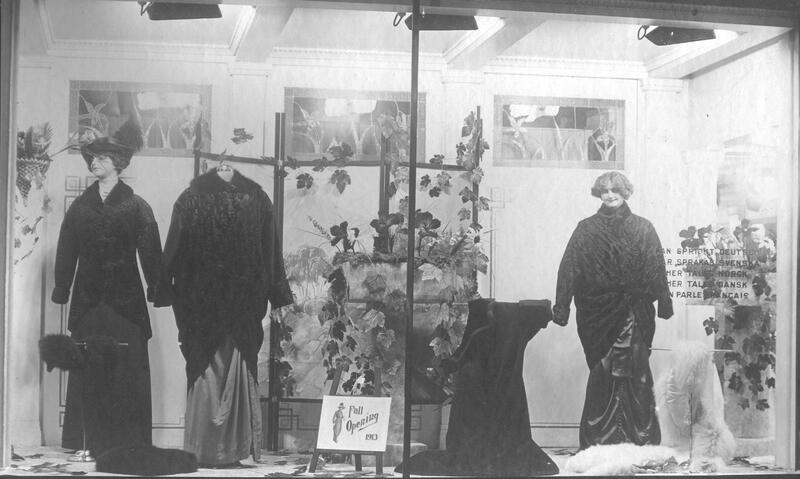 In 1939, she opened a branch in the department store Rumbaugh-MacLain, closing its doors in 1944. Juleen continued to run the main studio until her death in 1955. Rueben King was partner of the short-lived but prolific King and Baskerville studio, the original negatives acquired by J.H. 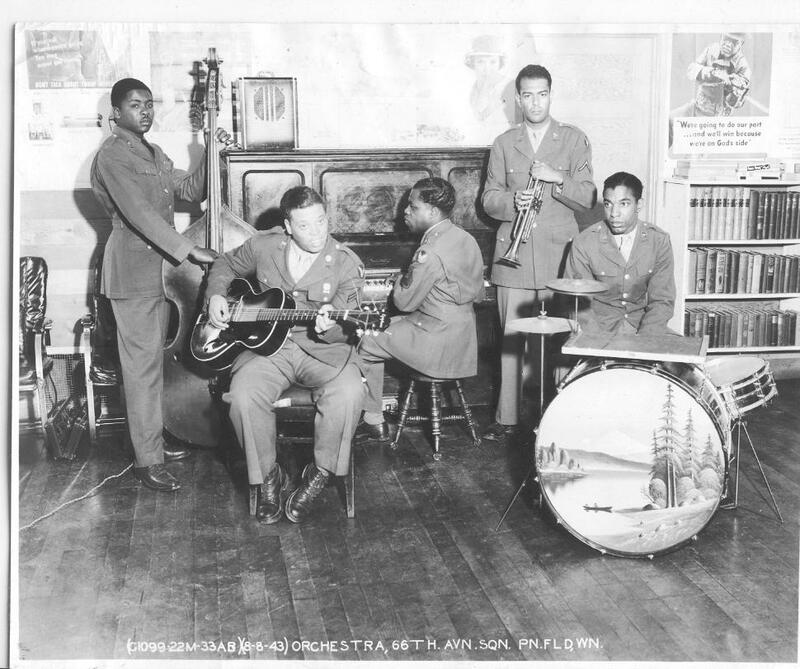 Blome and some now housed at the Everett Public Library. George W. Kirk operated a studio in the city from 1898 – 1901. Moving to Everett in 1898, Kirk purchased Herman Siewert’s studio and negatives and worked in partnership with H.B. Hanson. In 1901, he moved to Snohomish leaving the studio to his son, Thomas Leston Kirk, and his partner, Loren H. Seely. Thomas Leston Kirk of Kirk and Seely inherited his father’s studio in 1901 and worked with his partner, Loren H. Seely, until 1903 when he sold the business to Seely. They produced a small booklet of gravures in 1902 and Norman Clark used one of their images for the cover of his book Mill Town: A Social History of Everett, Washington, from Its Earliest Beginnings on the Shores of Puget Sound to the Tragic and Infamous Event Known as the Everett Massacre, published 1972. LeRoy H. Lansing, Jr. was the partner of Lonnie E. Bobo and operated the Everett Photo Company. Frank LaRoche was born in Pennsylvania in 1853 but was likely drawn out West by the Yukon Gold Rush, moving to Seattle in 1889. LaRoche was active in Everett from October 1891 to September 1892 when he took some of the earliest images of Everett’s development as the site of a new city. Albert G. Livingston was active in 1925. Harold Locke had a studio 1930 – 1931 in Everett. Harry L. Marshall worked from 1908 – 1911 according to records. Ada L. McBain had her own studio in the early 1930s. William M. McConnell operated in Everett in 1901 – 1902. William Fay Morrison came to Everett in 1905 and apprenticed under J.A. Juleen in 1914. In an interview before his death, he credited Topliff Olin Paine, Paine Field namesake, in first introducing him to photography, later buying his first camera at Dean’s Pharmacy. He also worked for Peter Vikdal and Rogers and LaPine, where he honed his informal method of portrait photography, which would now be considered candid portraiture. He later partnering with R.J. Young to form the Home Portrait Studio, the partnership ended in 1925 when he established his own studio, which was open until 1970, when he retired. Everett L. Murray worked with the Juleen Studio in 1935; concentrating on documenting the industrial side of Everett’s development. Courtland H. Muzzall purchased the Bentley and Hatch studio in 1909 and later opened the Palace Studio, which he ran from 1910 to 1911. Vassar L. Northrup ran his studio for one year, 1905, before he sold the space to Jesse B. Myers. 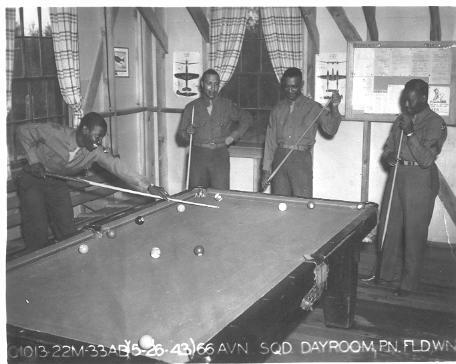 Samuel O. Oliver had a studio on Hewitt in 1935. Thomas W. Patterson operated Patterson and Ranberg’s Palace Studio in 1913; he also operated a studio in Seattle from 1931 – 1932. Ingvald E. Ranberg was the other partner in Patterson and Ranberg’s Palace Studio in 1913. R.W. Richmond is thought to have worked in Everett in the 1890s. Alice A. and Clara G. Rigby, sisters originally from Aurelia, Iowa, were well-known Everett photographers at the beginning of the twentieth century. 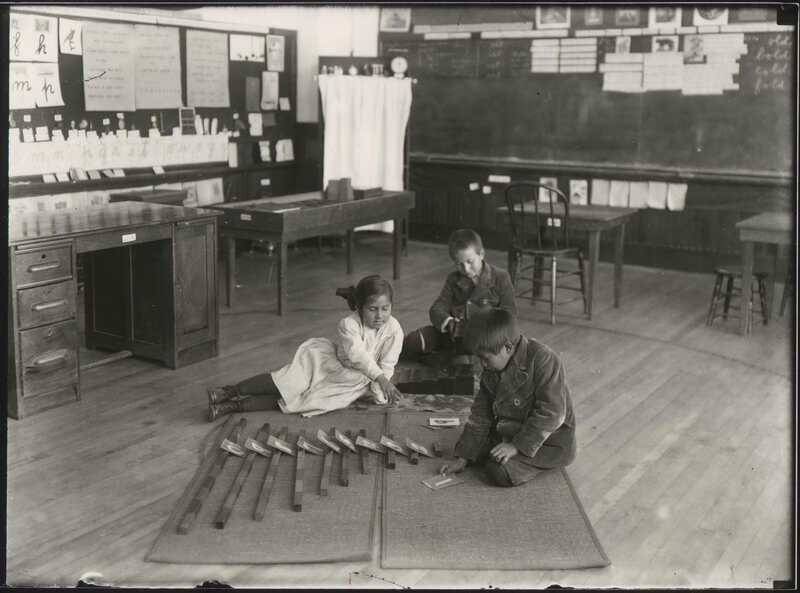 Clara Rigby began her photography career as a retoucher for Loreen Seely and purchased his studio and negatives, including those of Siewert and Kirk, in 1905. Alice was an Everett public school teacher who left her job to join her sister in running their successful studio until 1915 when Clara closed the business after Alice’s death. It was thought that they named their studio Rigby and Rigby to conceal the fact that they were a women owned business but family members later recall that they enjoyed the notoriety it gave them in the community. 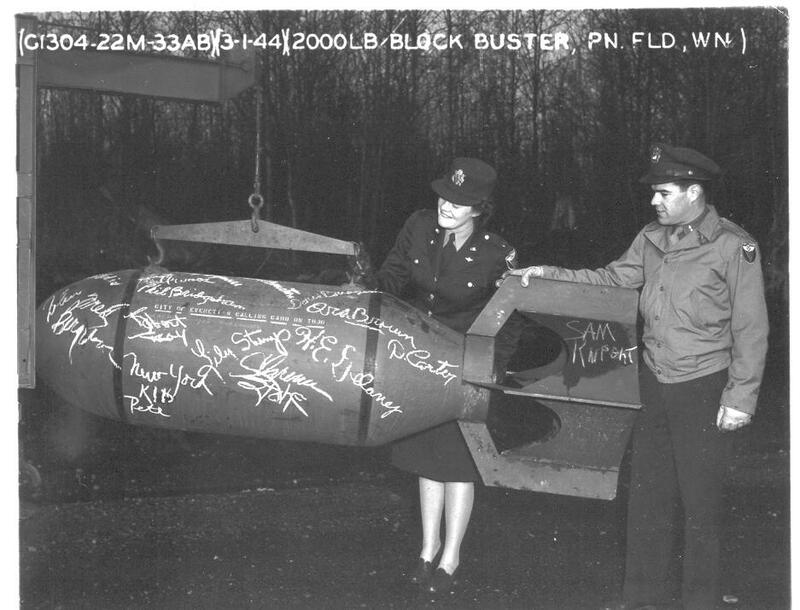 They also ran successful branch studios in Monroe, Snohomish, Arlington, and Marysville. Edwin W. Rogers took over Bert Brush’s studio from 1916 – 1922 under the name Rogers Studio, later the studio name was used by James C. Bailey in 1926 – 1927. Luther C. Saunders worked out of the Stockholm Hotel in 1908 but nothing more is known about him. 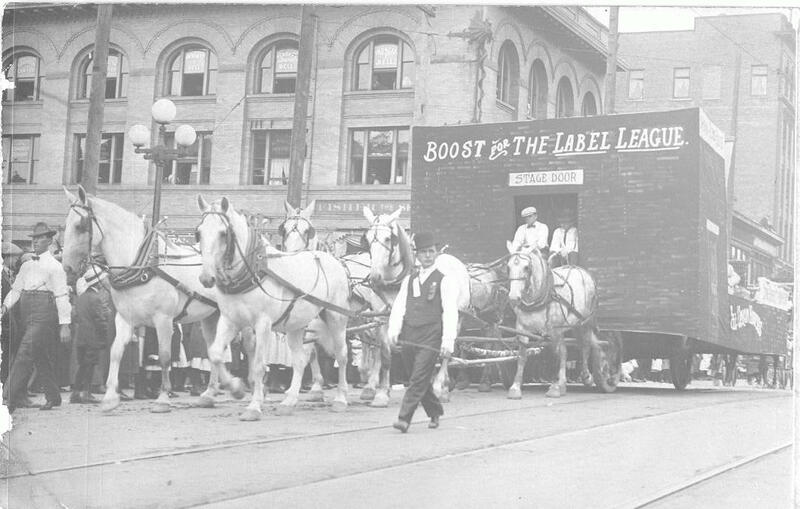 Loren H. Seely partnered with T. Lester Kirk in 1901 – 1902 before buying him out and running his own studio until he sold to Clara Rigby in 1905 and moved to Seattle. Fred W. Sharon was only active in Everett from 1911 – 1912 documenting buildings for builder R.B. McAdam. Herman Siewert was active in Everett from June 1893 – 1898. He operated out of a few different locations but his first studio was in the Aldrich Block. In 1898, he sold his studio in the Realty Building to G.W. Kirk. Julius Bert Simon had two different studios in 1908 and 1909. Albert A. Speers worked out of the Brownell Building in 1905. John H. Steen worked with Asahel Curtis, was a Navy photographer during World War I, and had a studio in Everett briefly in 1913. L. Taylor advertised in 1902 as a photographer. A.A. Tripp was known to be active in Everett in 1905. LeRoy Van Burkles worked in as a photographer in 1904. Peter G. Vikdal was born in 1886 and was a protégé of Bert Brush, working under him from 1909 – 1910. In 1911, he set up his own studio, working until 1927. Andrew J. Wallacker had his studio from 1917 – 1920 when he apparently sold to Orrin E. Graves. Henry Ward photographed Everett from 1905 – 1906. Frederick L. Wellington was active in Everett from 1905 – 1920. He also ran a costume shop in 1917 and 1918. E.M. Westfall took over the Bart and Cantwell studio in 1905 selling the studio and all of the negatives to Bert Brush in 1906. 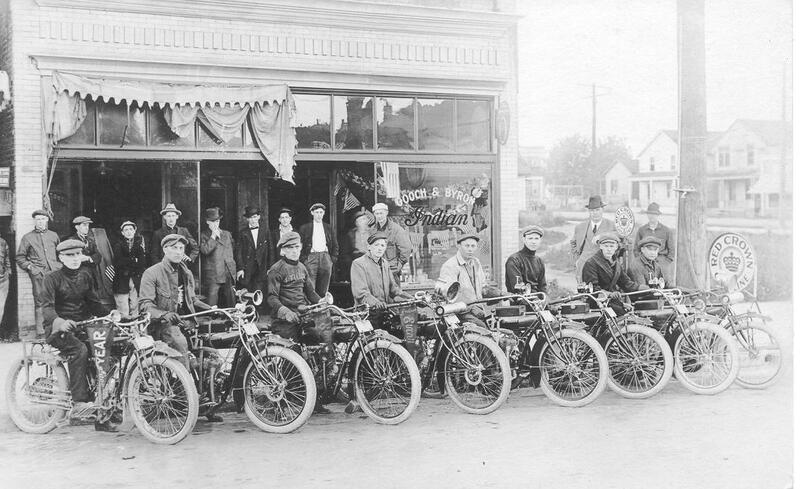 Frederick W. Wienard arrived in Everett in 1902, running a successful studio from that year through 1916. Gordon H. Wildey operated a studio in 1925. George W. Wize was active 1901 – 1902. Walter J. Wood was also active in the years 1901 and 1902 according to records. J.L Wooley briefly had a studio out of his boarding rooms in 1905. Harry N. Woolfield had a branch of his Tacoma studio in Everett in 1911. Robert J. Young formed his partnership with W.F. Morrison to create the Home Portrait Studio in 1916. While the partnership dissolved in 1925, Young continued overseeing the studio, with his wife, Verna Flake, a successful portrait photographer specializing in children and animals, until 1949 when he sold the studio to Frank A. Robinson. A special thanks to the Schack Arts Center for providing the Everett Museum of History this exhibition space and to the Everett Public Library and the Northwest History Room for their tireless efforts to document Everett’s history and share it with the community. 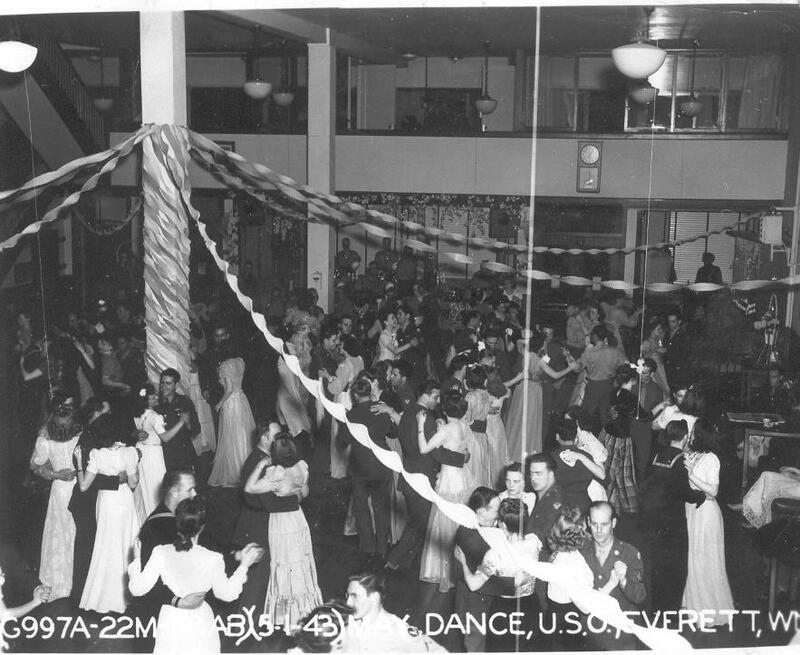 Much of the research on individual studios and photographers is only available through their efforts and the publication of the “Journal of Everett & Snohomish County History, No 3, Winter 1982,” which lists over 90 photographers working from 1891 through the 1940s. 1888 Eastman company in the USA produces the Kodak No.1 camera and roll film, thus taking a big step toward universal hand-held snapshots. With the slogan ‘You press the button and we do the rest’, the major innovation was the combination of a ready-loaded camera with a developing and printing service. 1890 George Davison exhibits The Onion Field in the royal Photographic Society’s Annual Exhibition. This image taken with a pinhole camera and printed on rough paper heralded the beginning of impressionistic photography. Davison went on to become a founder member of The Linked Ring (see 1892 below) and also to become managing director of Kodak in Great Britain. 1890 Two British scientists, Hurter and Driffield, devise the first independent speed rating for all emulsions. The ratings were known as ‘H & D numbers’. 1890 Photographs start to supplant hand-drawn illustrations in popular publications. 1891 Gabriel Lippmann of the Sorbonne succeeds in producing a cultured image directly in the camera from one exposure, using the principle of light interference first investigated by Newton. For this Lippmann received the Nobel Prize for physics in 1908. The process required long exposures, and results could not be copied, however. 1892 The Linked Ring is formed. A society dedicated to the furthering of artistic photography. The members sought impressionistic images; often by using various manipulated printing and other techniques. Soft visual effects were often preferred. 1893 The flash bulb is invented, a glass bulb filled with magnesium-coated metal ribbon, ignited electrically. 1895 The Lumière brothers demonstrate a cinema projector capable of showing 16 frames a second. 1899 ‘The New School of American Photography’ the first major exhibition of American pictorial photography is held at the Royal Photographic Society. It consists of 360 images by such photographers as: F. Holland Day; Edward Steichen; Gertrude Kasebier; and Clarence White. 1900 Frederick H Evans exhibits 150 platinum prints at the Royal Photographic Society. Evans was known as a prime exponent of ‘pure photography’: images that are unretouched and unmanipulated. A slightly later image (from 1903) Sea of Steps taken at the Chapter House at Wells Cathedral is a much reproduced example of his work. 1900 The Kodak Brownie camera is introduced.